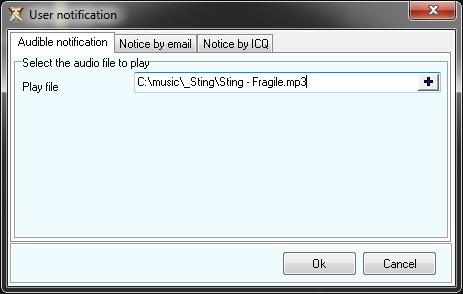 Bot can notify user about new attacks detection, scouting, ban, etc. 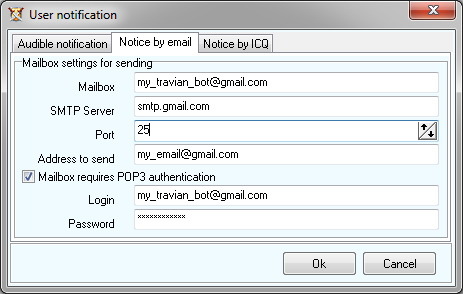 Enter the ICQ number and password using which the bot should enter the ICQ network to send messages. 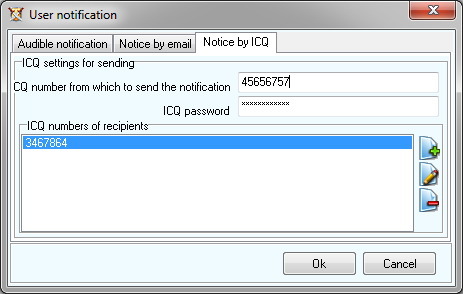 Use the Add, Edit, Delete to create a list of ICQ numbers for which notification will be sent. See also: Automatically withdrawal of troops when attacking, attacks detection.